This property is situated in Los Dolses. When you arrive at this property you will immediately get the WOW feel, the complex has been built to a high specification and the maintenance and attention to detail of the outside areas will help you to enjoy your holiday. The penthouse apartment is situated on the third floor and has an ultra modern feel to it. As you enter the apartment you will find the master bedroom with fitted wardrobes, a double bed and en-suite bathroom. Next you will find another bedroom with fitted wardrobes, this room has a single bed with another one that pulls out beside it should you need the extra bed, I would only recommend young children use the extra bed as the room is limited. In the next bedroom again you will find a double bed with fitted wardrobes, opposite this bedroom is the very modern family bathroom. The apartment is light and airy and gives you a very spacious and outdoor feeling as the lounge and kitchen have full windows so that you enjoy the surrounding and beautiful sea views. In the lounge there is a dining table that seats six and a chaise lounge sofa where you can enjoy chilling and maybe watching a little TV. The apartment has English TV and free wi-fi for you to enjoy. The property also has full air conditioning throughout. The kitchen has been prepared with everything you need should you choose to cook in the apartment as well as a dish wahser. The washing machine is in a separate utility room should you want to use it, where you will also find a clothes airer, iron and ironing board, a hairdryer is also supplied for you. On the terrace outside the kitchen you can relax on the sofa set and again enjoy your beautiful surroundings. Upstairs you have a very large solarium which has 6 sun loungers, outdoor dining for 6 and a BBQ, everything you need if you just want to chill in the Spanish sunshine. This terrace is gated for your security and safety. All of our properties are supplied with a welcome pack of water, wine, beer, snacks, milk, starter tea, coffee and sugar. Clean and laundry is collected cash on arrival and is €70 for 4 people and €5 per thereafter. As the title says , everything included for a great stay. From pick up to drop off everything as expected. Thanks to Sharon and Kevin. Would definitely use apartment again if available. Never got to use the solarium due to bad weather during our 5 night stay over Easter, but what a fabulous space it is. Thank you so much for taking the time to write a review, we are so glad you enjoyed your stay and look forward to seeing you at a Gleam Team Rental property again in the future. Stayed at this property for long weekend. Can highly recommend this apartment. Bars and restaurants close by as are supermarkets but location is still peaceful. Beaches are a short drive away. Can’t wait to visit again and explore the area further. Sharon and her team were extremely helpful and knowledgeable and I look forward to returning. Thank you so much for taking the time to write a review, we are so glad you enjoyed the property and were able to give us a 5 star review. We look forward to seeing you at a Gleam Team Rental property int he future. Firstly I would like to say that Sharon from the Management company was a joy to deal with from start to finish, thanks. The apartment was perfect both in terms of position and the finish as well as the views and quality of the furnishings, I would highly recommend this apartment and Sharon and the Management company. Thank you so much for taking the time to write a review on our property. I am so glad you enjoyed your stay and look forward to seeing you again in the future. We had a truly lovely stay, everything was spotless, and very modern. Felt extremely safe with this being a gated community and very easy to find. Pool is very big and never overcrowded. We were a family of 4 and it was perfect for us, only a short 15 mins walk to villamartin plaza. Thank you to Sharon for meeting us there and providing lots of useful information. Thank you so much for taking the time to write a review on our property. We are so glad you had a good holiday and hope to see you again in the future. This property is fab brand new with great views. All Mod cons which is always good :-) The Apartment, pool area etc was spotless. Located close by to everything you need to have a great holiday. very clean and not to busy when we visited in April. Thank you so much for taking the time to write a review on our property. We are so glad you enjoyed your stay and look forward to seeing you again in the future. Very happy with our stay and the apartment. Everything worked really well and the apartment has all you need for a company of six (two children). 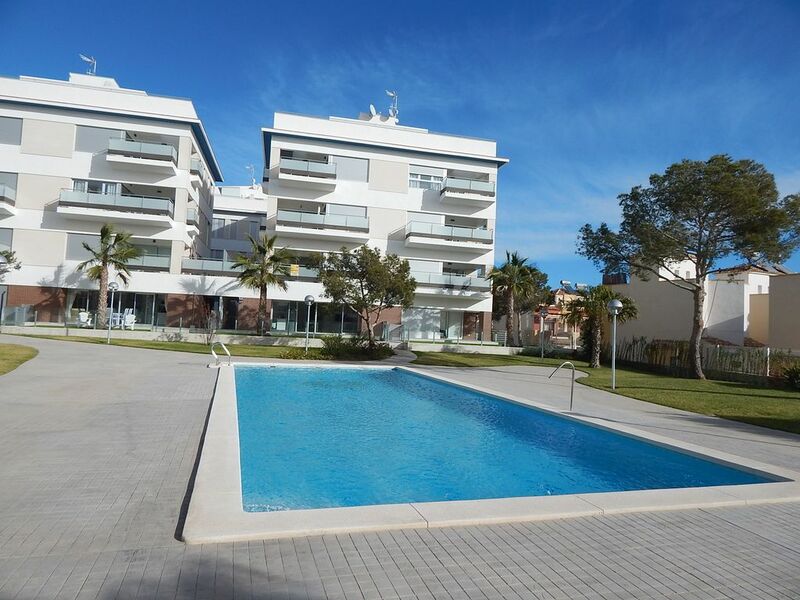 Close to all the sweetspots, such as Villamartin Plaza, Zenia Boulevard and the wonderful beaches. Defintiely recommending this place to friends and family! Thank you for taking the time to write a review, we are so glad you enjoyed your stay and that the property and area had everything you needed. We hope to see you back again in the future.